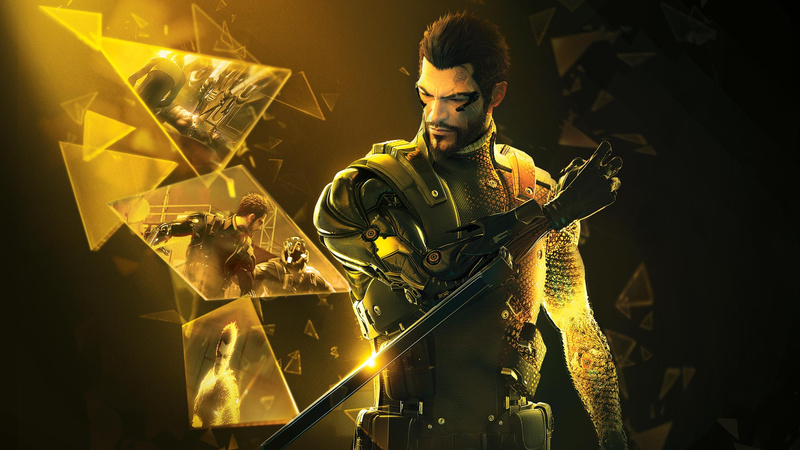 Square Enix has slashed the price of Deus Ex: Human Revolution Director's Cut on the Wii U. The game usually costs $49.99 to download, but it's now on sale at $12.49. This only applies to the North American eShop at present, but we'll update this story if the offer is extended to Europe. 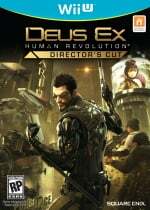 Deus Ex: Human Revolution boasts a raft of Wii U exclusive features which make it well worth a look, even today. It also helps that it's a fine game, as well. The price drop is the first since the game launched back in 2013. Will you be investing in this game now it's super-cheap? I should finish that on Wii U. It was somewhat interesting playing through it with the game pad. I collect a lot of Deus Ex, games and merchandise. One of my favorites since the first game way back when. I want to like this game, I really do, but the combination of long load times and that one pick-up item in the first hub area that requires a series of fairly precise leaps from window ledges to air ducts in order to traverse the edge of a tall building... well I was spending a lot of time reloading. Might not be so slow on Digital though. Now if only they could fix the deadzone issue. Bought the physical copy at launch. Sweet game, reminded me of metal gear solid a little bit, but maybe a little more .... 'urban'? I picked up a like new boxed version on eBay for less than that. Was never going to pay £30 for a game I'd paid £3 for a year before on Steam. Still not finished mind. Got to a level where I'm raiding a lab or something before a loada punks turn up. On my first attempt I found they were too fast and numerous to fight, but I couldn't be bothered to try and look for a stealth way out of it. It's a good game, no doubt, but doesn't quite do it for me for some reason. Definitely ought to be more discounts on Wii U than there have been though. The funny thing about this is that boxed copies have been available new for under £10 since the year it was released. Picked it up the other day while taking a little eshop stroll and couldn't pass it up at that price. Probably give it a whirl over winter. This has the Bayonetta 2 syndrome. On retail you could find Bayo 2 and Deus Ex for 12.99 just a couple of months after release. Going all digital made me skip those two games entirely, because the Wii U eShop prices couldn't keep up with the retail prices. Would've bought it if it were two years ago. If you don't have this game on WiiU, Get it! One of the system's best! Rats, I bought this off the eShop a while ago but never got around to it. Now wishing I had waited. Price cut most likely means this game or a different version is on its way to the Switch. Wouldn't that be nice. I got this for like £10 on Amazon a few years ago. It's fairly enjoyable, glad I bought and played it. It certainly does stealth better than any Metal Gear game I've played, but there can still be stupid moments where you take out a guard and the one stood a foot next to him doesn't even notice. I already played this game on Wii U and I loved every second of it! One of my fondest memories of the system. I have on disc on my backlog and will get to it ASAP. I got it on Black Friday a few years back for $7!!!!!! Just picked it up this morning on the eShop. Been wanting it for a long time, but really preferred getting a digital version. Glad it finally came down in price. I now have a HUGE backlog of Wii U games to still get to. Might take me another year until I'm ready to move to Switch. Maybe that will give Nintendo time to get the kinks worked out. @Jamesj67 me too .... it's really lame if it only lasted for a few hours... or maybe the sale doesn't apply here in Mexico? I'm in California. It was on my wish list but not digitally for full price. It would have been nice to receive a notification about the price drop and how long it would last. Ugh! What was that? A 20 minute sale? It's back to full price! I've always been on the fence about this one and was finally going to take the plunge at $12 but no way back at $49.99. Bugger.